When you first arrive, the smell of freshly made bread permeates the air and draws you in to enjoy the wonderfully crunchy crust and the soft inside of your choice of white, whole wheat or rye. 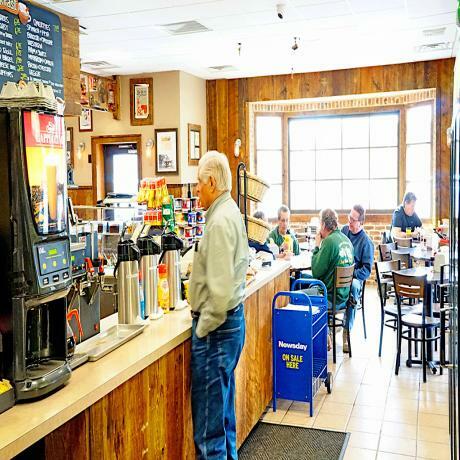 And it is made every morning following a preservative-free recipe used for over sixty years to keep customers coming back for more. 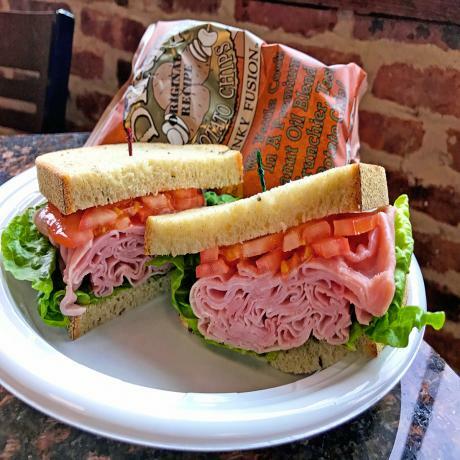 The fragrant, slightly sweet and nutty bread is the perfect vehicle for a variety of quality sandwich ingredients of your choice assembled right in front of you when you order in. 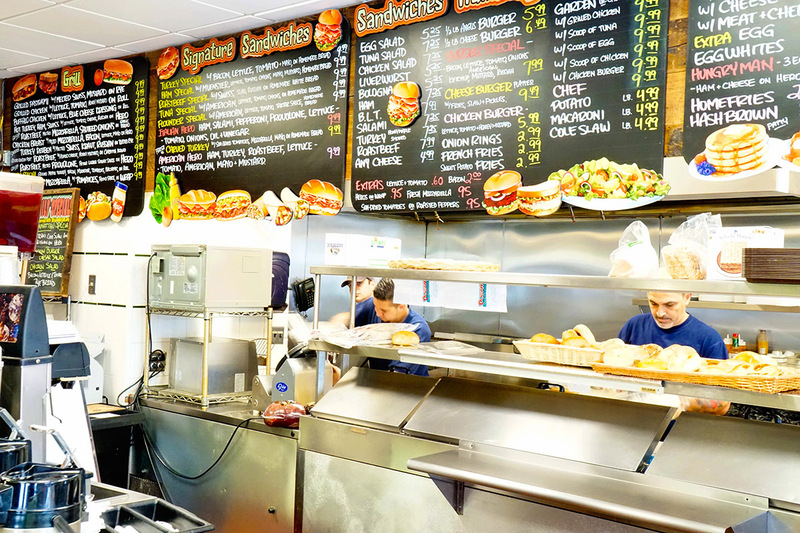 Or if you prefer, you can call in and order take-out with the same assurance of quality, fresh ingredients. 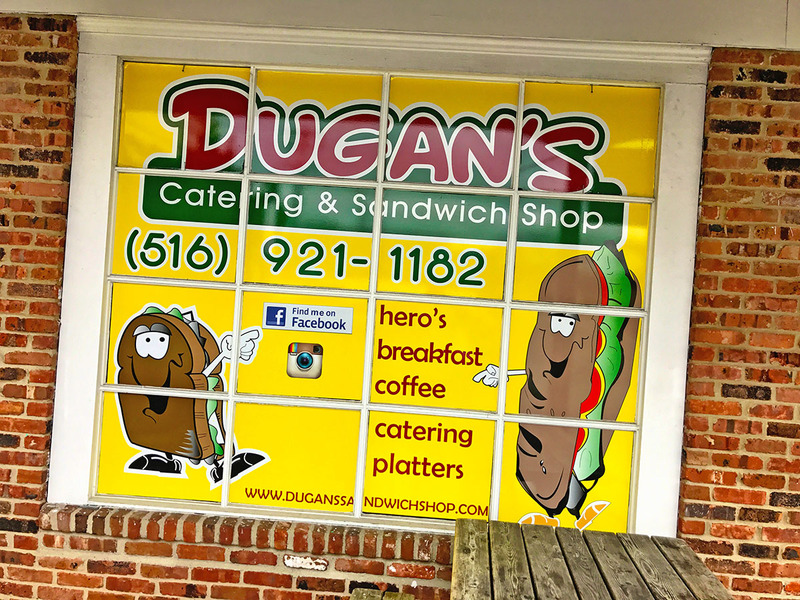 Weekly specials make regular dining at Dugan’s Sandwich Shop a pleasant surprise and constant delight. 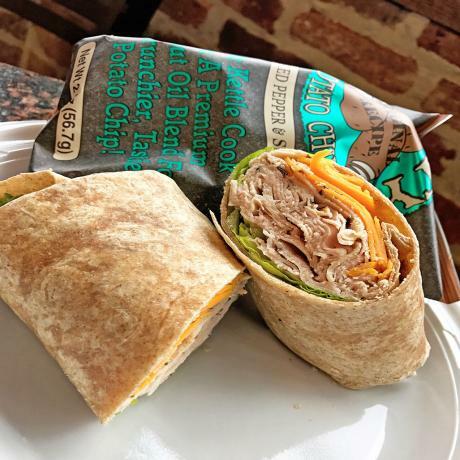 Be sure not to miss Chad’s Special, a mouth-watering combination of grilled maple turkey bacon, muenster, tomato, and balsamic vinaigrette that will make your taste buds sing. 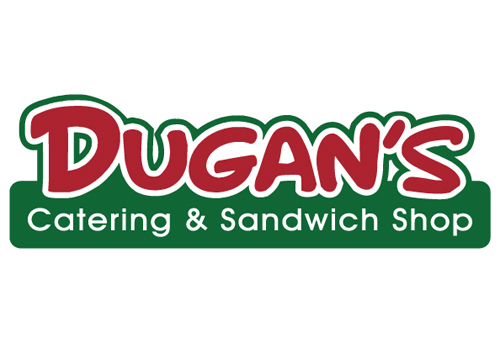 If you are one of the few who can resist the temptation of the bread, you can always enjoy a large variety of Dugan’s Sandwich Shop’s freshly made salads, prepared daily to the same exacting standards that have made Dugan’s the top destination for people looking for fresh ingredients made the right way since the 1950’s. 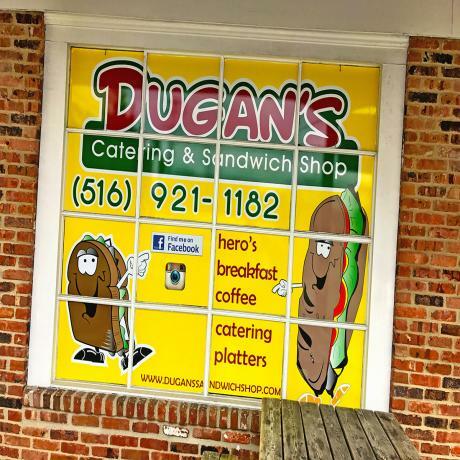 Dugan’s Sandwich Shop has a long history of crowd-pleasing service. The story began in 1938 when David Dugan started a 12-acre farm raising chickens, turkeys, and eggs. In the 1950’s, Bob and Eva Rummell expanded the retail end of the business by introducing homemade chicken soup, fried chicken, and homemade chicken pot pies. 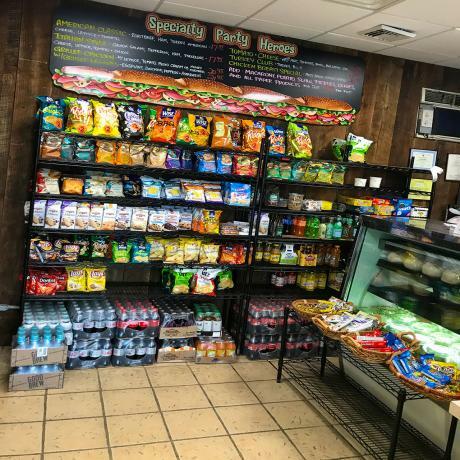 Eva also developed a recipe for homemade bread that was so good it shifted the entire focus of the business to making the best sandwiches on Long Island. 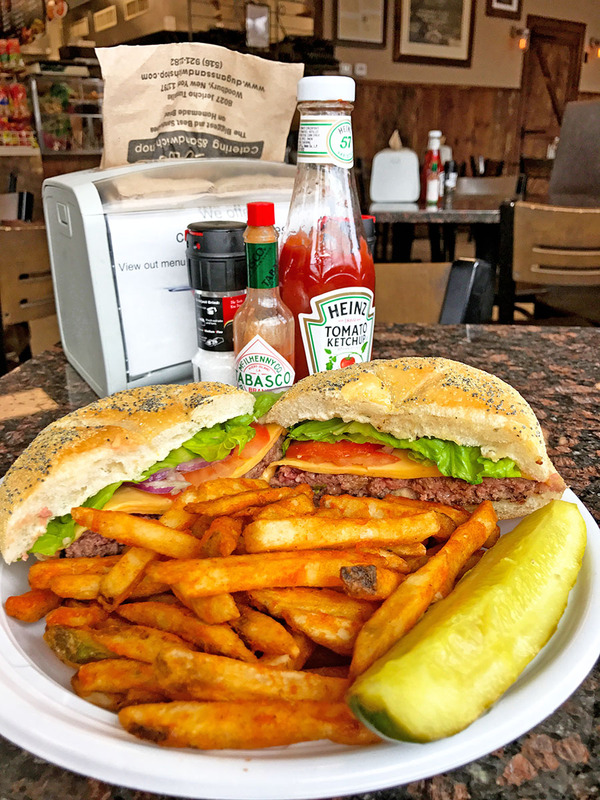 In 2001, the Rummells sold the business to the current owner, John Licastro, who knew that the famous bread recipe still deserves the place on honor on his menu. 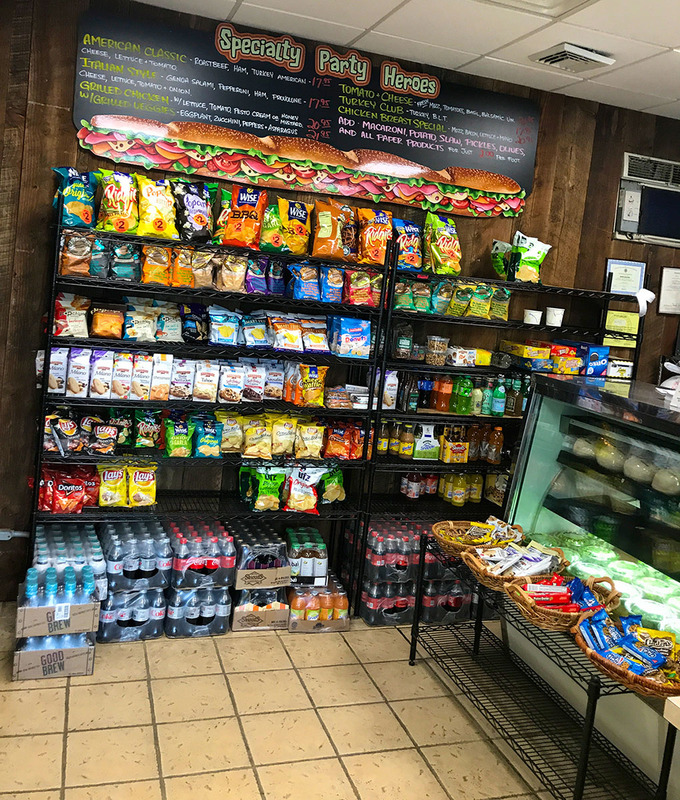 So, John still makes the same tasty bread everyday, and welcomes you to come in today for a mouth-watering sandwich sure to satisfy. "Love love love the chicken sandwich on homemade bread. 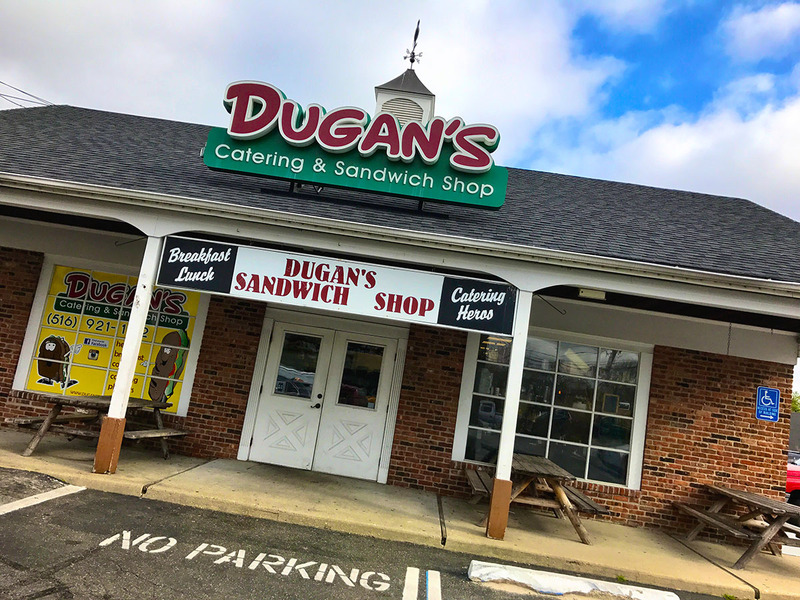 moved across the country and nothing even comes close to this favorite since 1982"
"First time today trying Dugans Sandwich Shop and I must say I loved it!!! I ordered the flounder sandwich...so good. I will return again and again!" 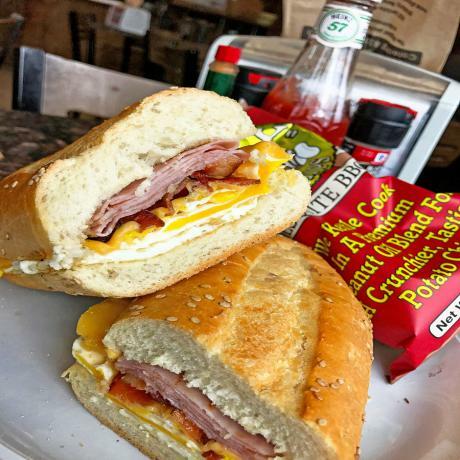 "Best breakfast and lunch spot around . Can't beat it!"